Our philosophy includes “excellence in customer service by focusing on details”. Our goal is to become our client’s trusted partner, for long term engagements. GPG is able to cope with large volume multilingual workloads, at scales that augment a competitive advantage for our clients. We are committed to performing at the highest level and conduct ourselves in the most ethical manner, which ensures that support operations are transparent to all stakeholders. Our local human capital resources provide GPG with the possibility to recruit multilingual personnel, with existing Call Center experience. 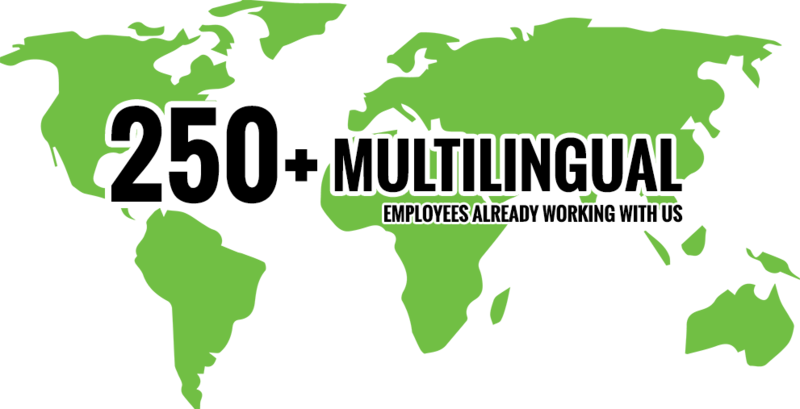 In addition to their Eastern European “mother tongues”, the vast majority of our staff speak more than 2 foreign languages. English is the most popular language studied as a primary foreign language, typically in combination with French, German and Spanish. Moreover, this Eastern European region is mostly bilingual, with several FSU territory languages: Romanian – Russian, Russian – Ukrainian, Romanian/Russian-Bulgarian, Russian – Hebrew, Russian – Turkish, etc. Our new location in Lviv, Ukraine has opened more doors for us, by providing a greater possibility of languages support: Ukrainian, Belarusian, Bulgarian, Polish, Hungarian, Armenian, Czech, Serbian, Dutch among others. Per our Clients’ request we are able to source highly qualified personnel with academic and work experience, that includes industries, such as E-Commerce, Mass Media, Finance, Banking, Accounting, Engineering, IT, etc.